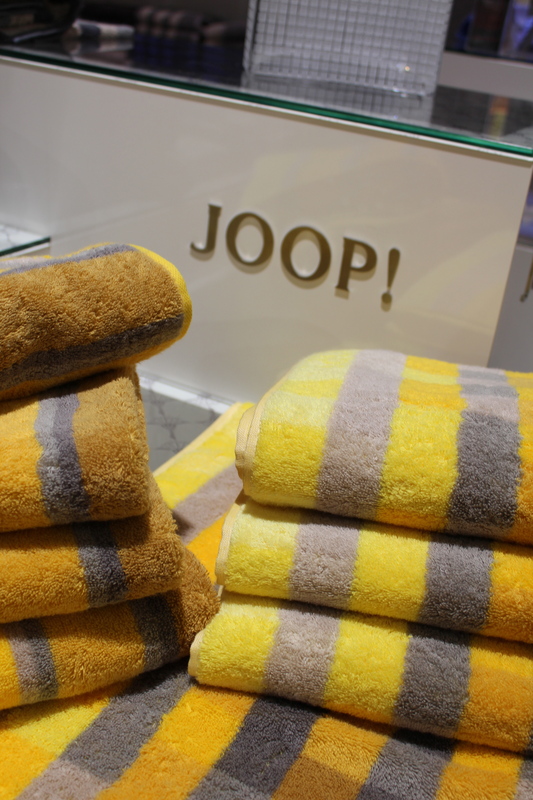 As ever JOOP! 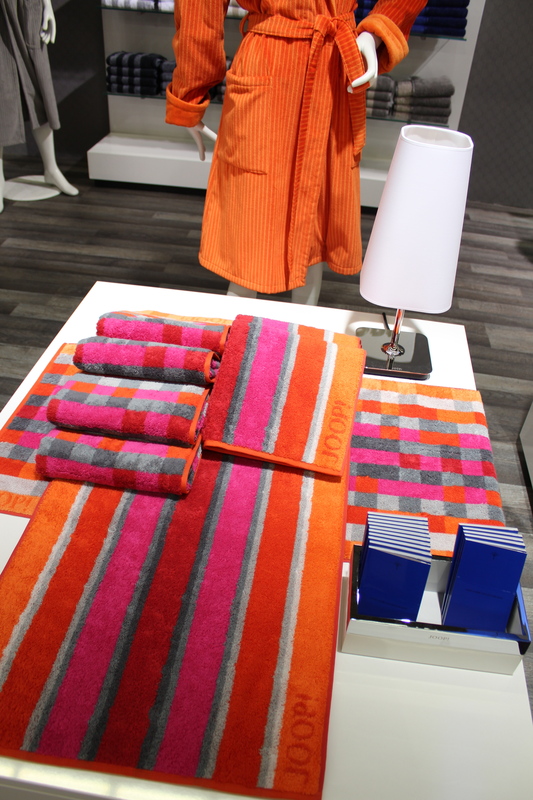 plays the colour game in a strong way. 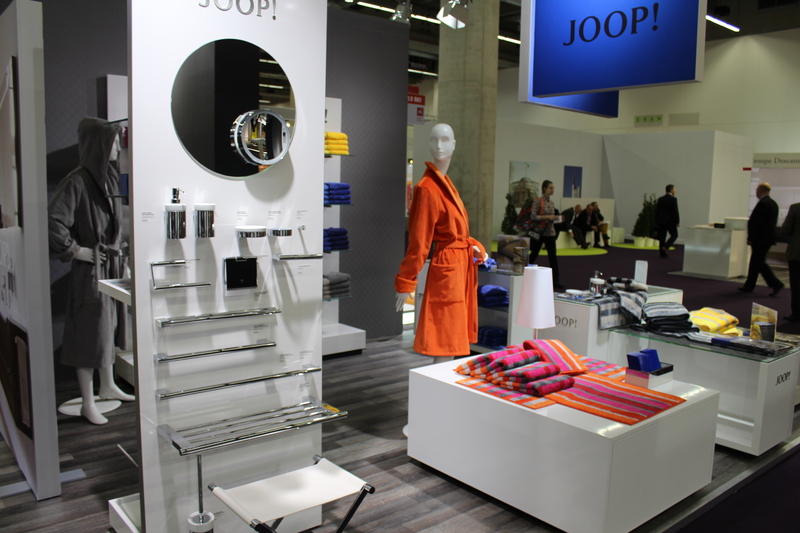 Know for its modern but glamourous bed & bath items the brand took center stage at this year’s Heimtextil fair and displayed strong new items in blue, red, yellow and grey stripes along with striking blue brand panels and a glossy but clean presentation. 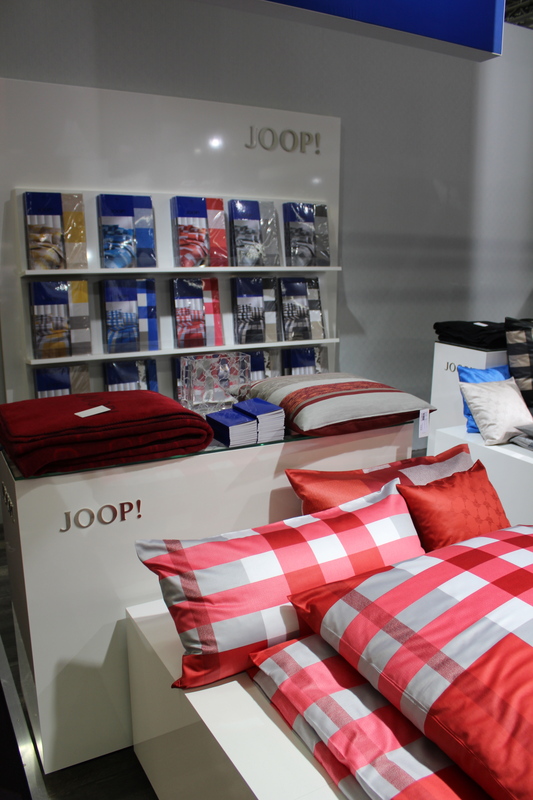 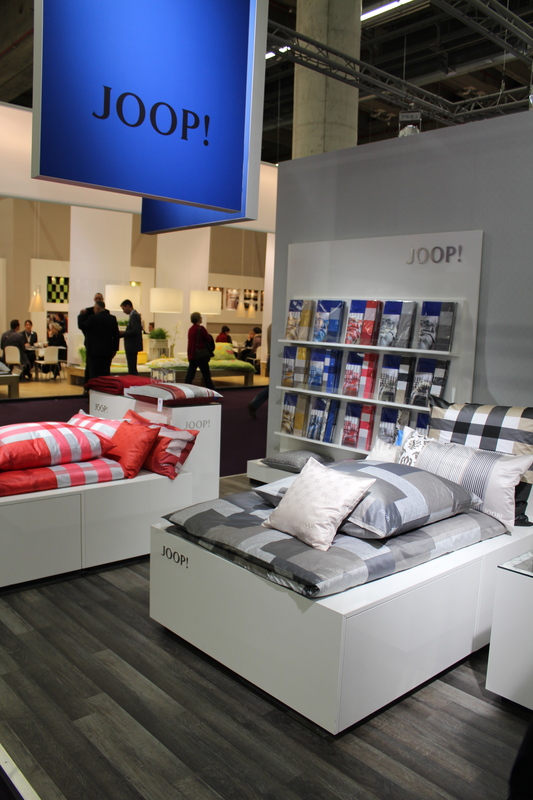 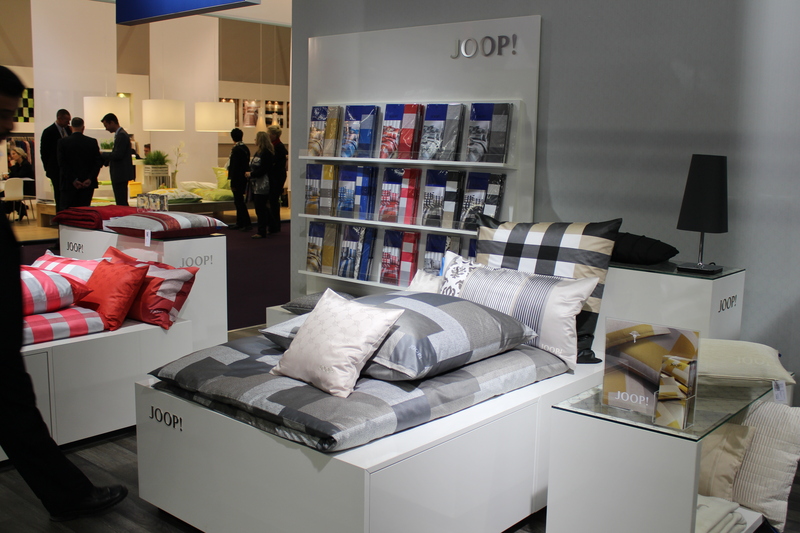 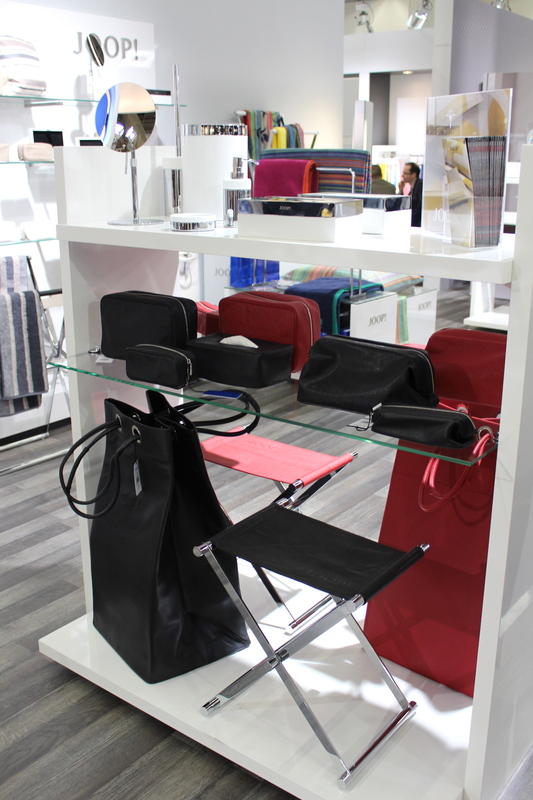 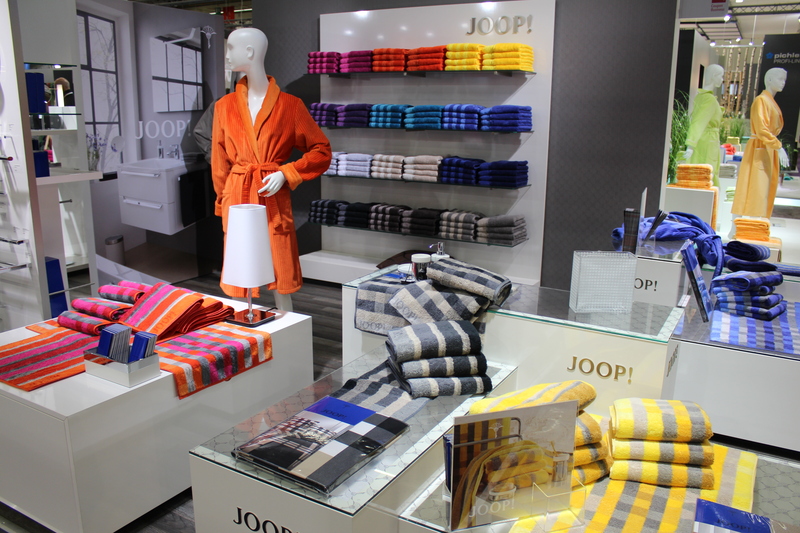 This entry was posted on September 2, 2013 by Chef de Cuisine in Fairs, Home Collections, Uncategorized and tagged Bath accessories, Bed linen, JOOP, JOOP! 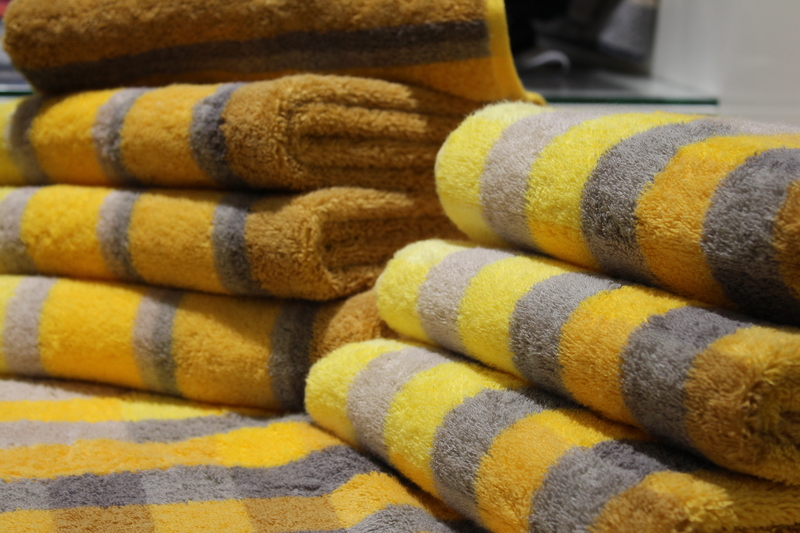 LIVING, Towels.